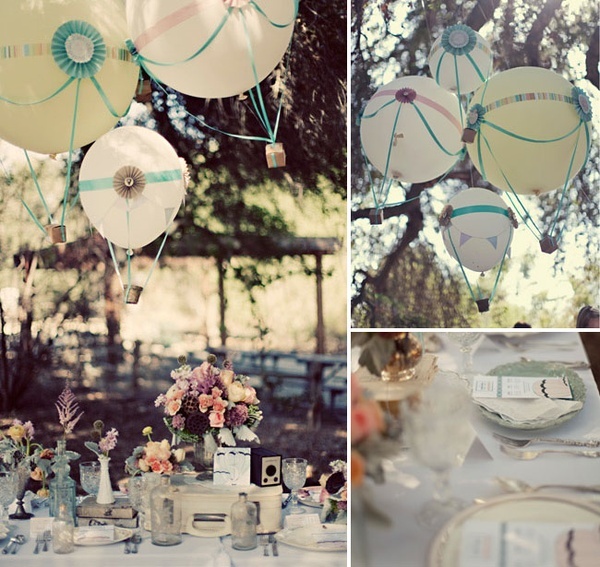 I envy those who can plan and pull off a meticulous theme party where no detail is left unnoticed. 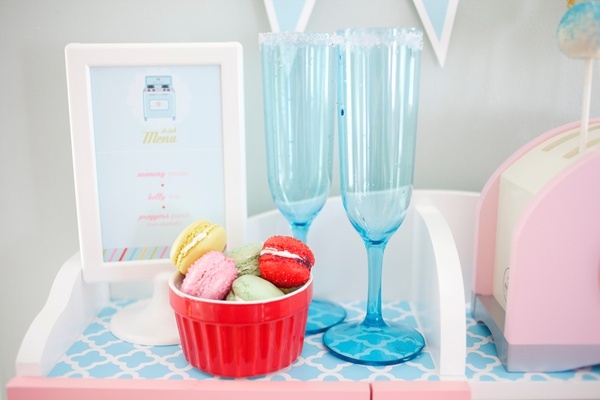 Here are a few theme parties that are my absolute FAVS from my pinterest boards. 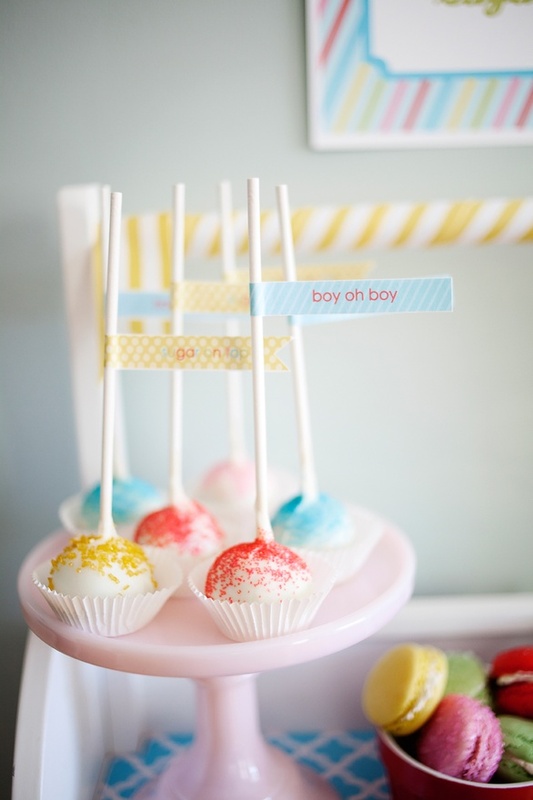 A Bun in the Oven Baby Shower, via. This is probably the CUTEST thing I’ve ever seen! Wow! 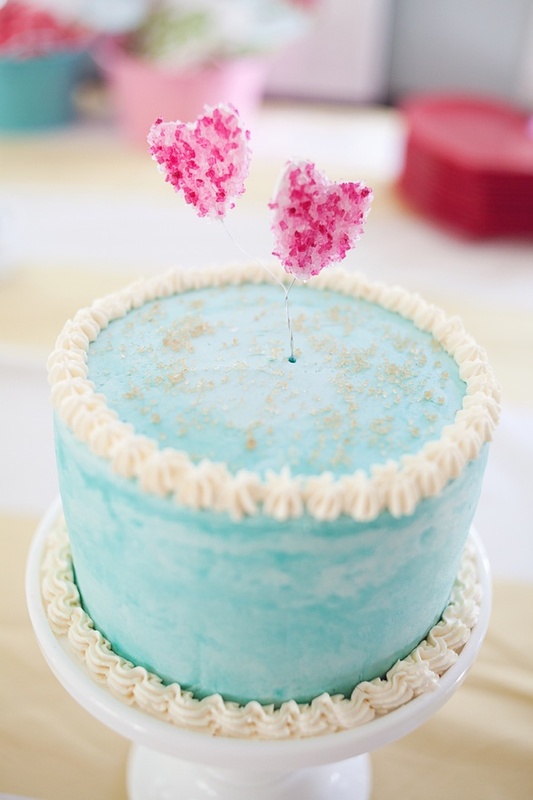 The red velvet contrast so nicely against the blue frosting. CUTE! 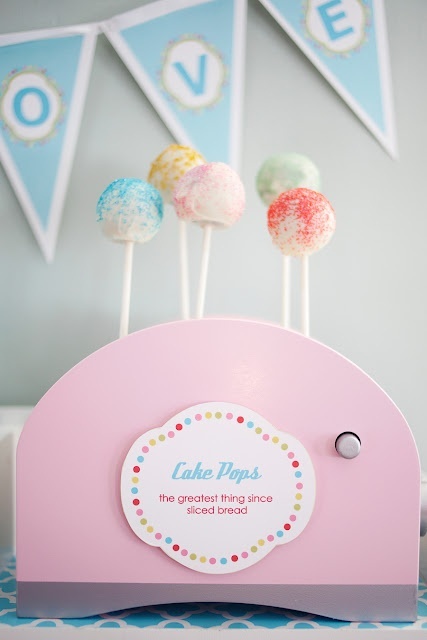 Loving the cake pops! 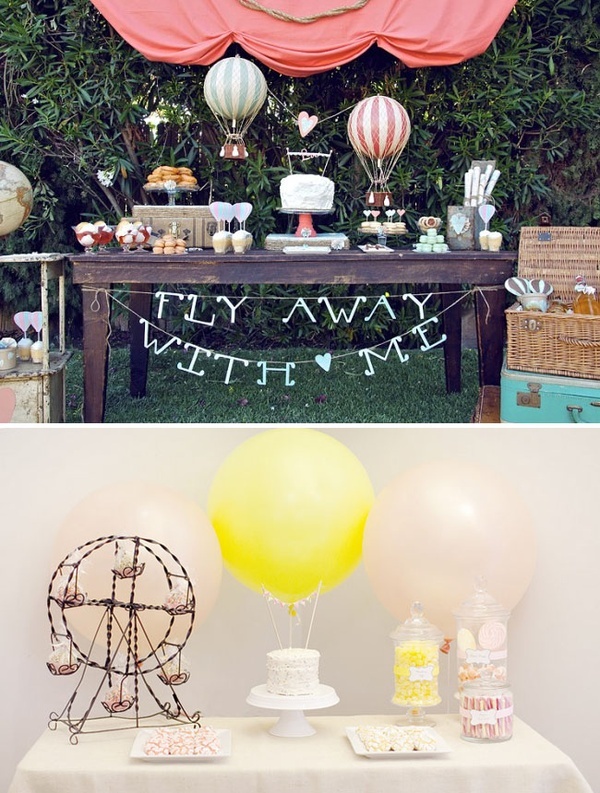 Hot Air Balloon Wedding, via. 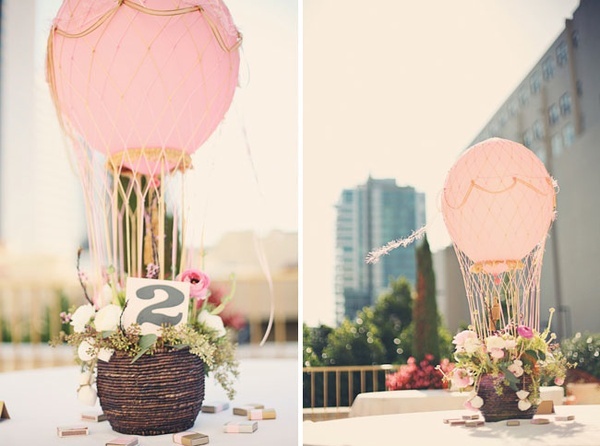 These hot air balloons are soo adorable! 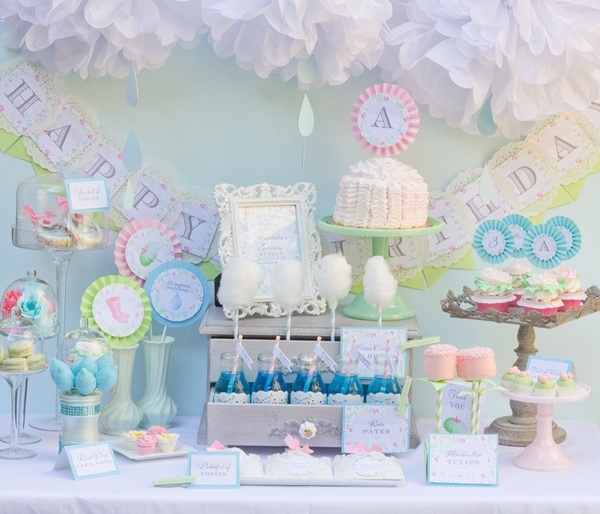 April Showers Bday Party, via. Another great idea! And I love the knob!! 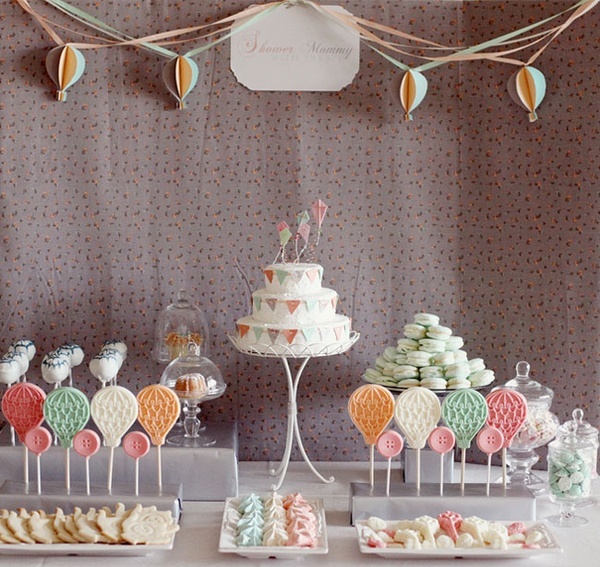 Ice Cream Shop Wedding Dessert Table, via. Now I wished that I was at THIS party! Which one’s your favorite? 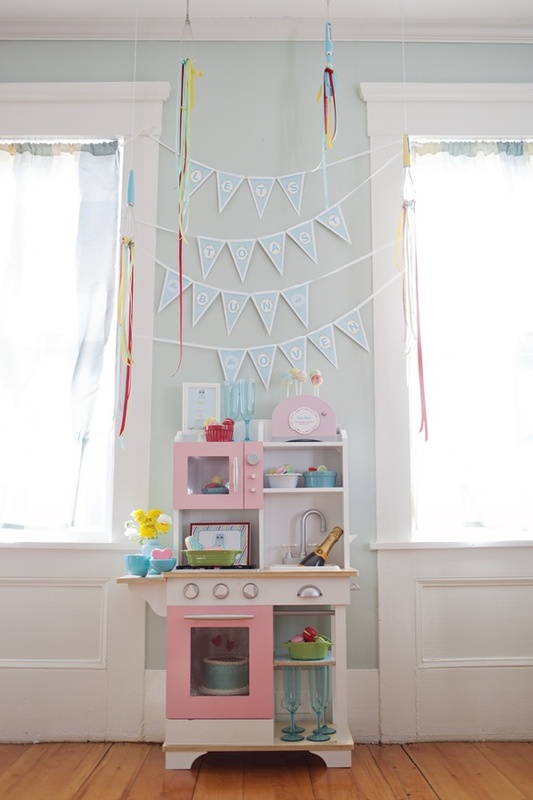 Mine has got to be the first one, Bun in the Oven Baby Shower! aww this is so cute 🙂 wanna try it in my birthday too! 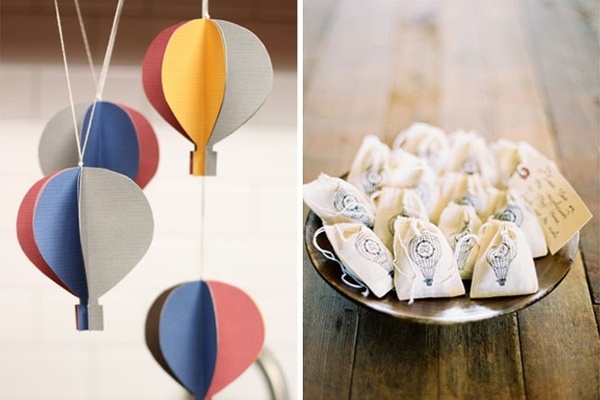 I love all of them, but especially the hot air balloon wedding – so cute! Presentation is everything and these tablescapes are making my mouth water! Just beautiful. Love these pastels together. Wow all beautiful! 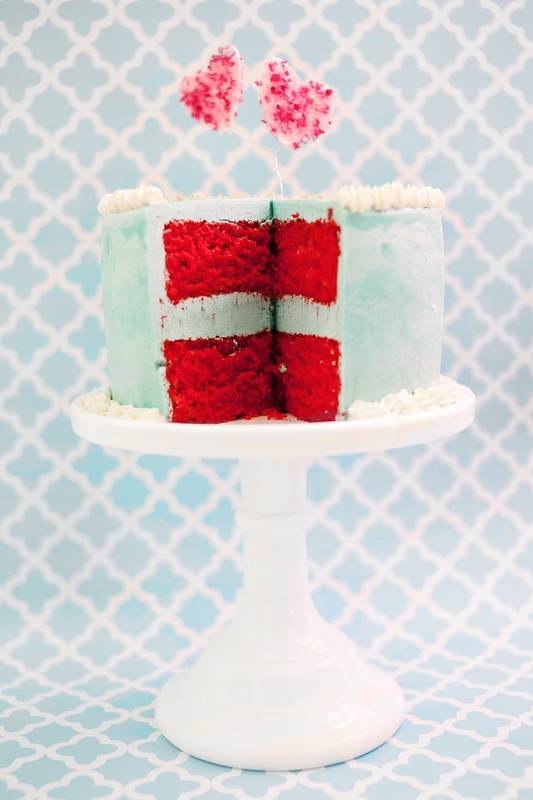 That red velvet cake is gorgeous! 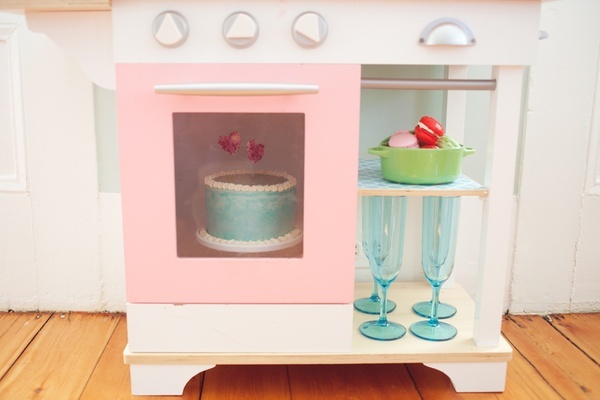 LOVE the bun in the oven theme!! How creative and cute! 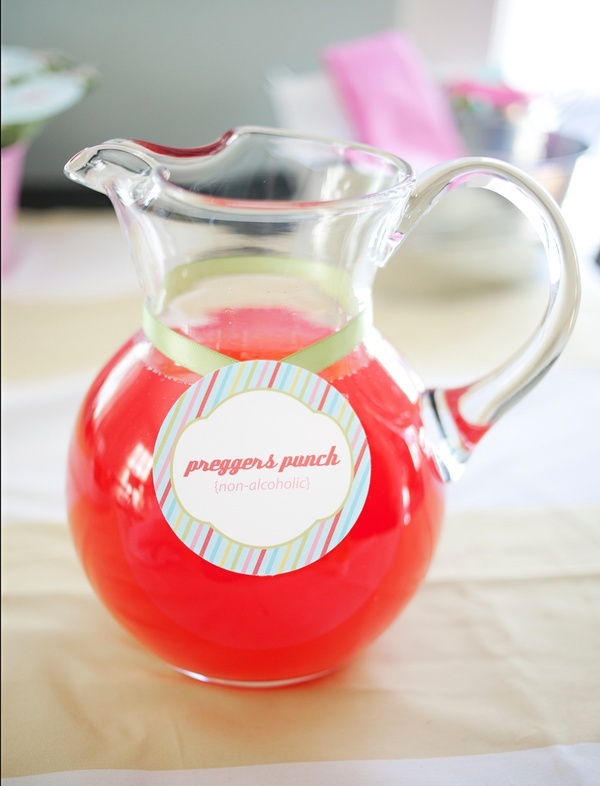 Definitely keeping that in mind for my baby shower. 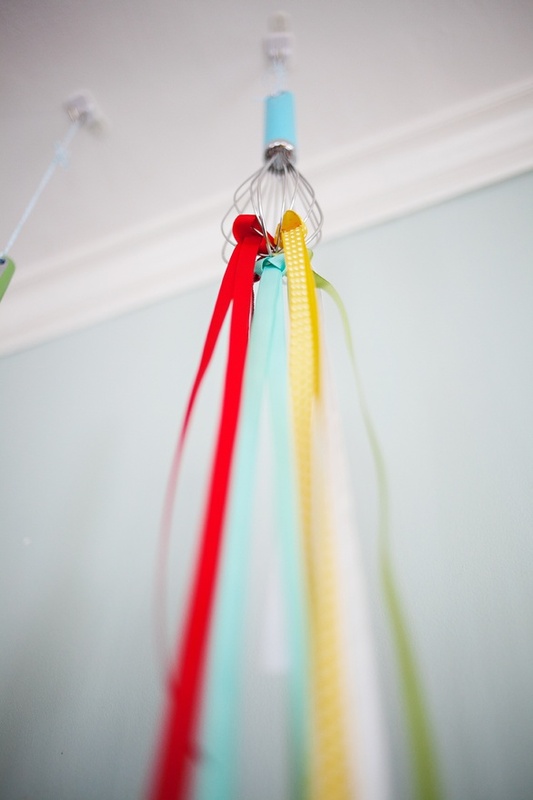 This makes me want to throw a party! I love all of the bright colors. 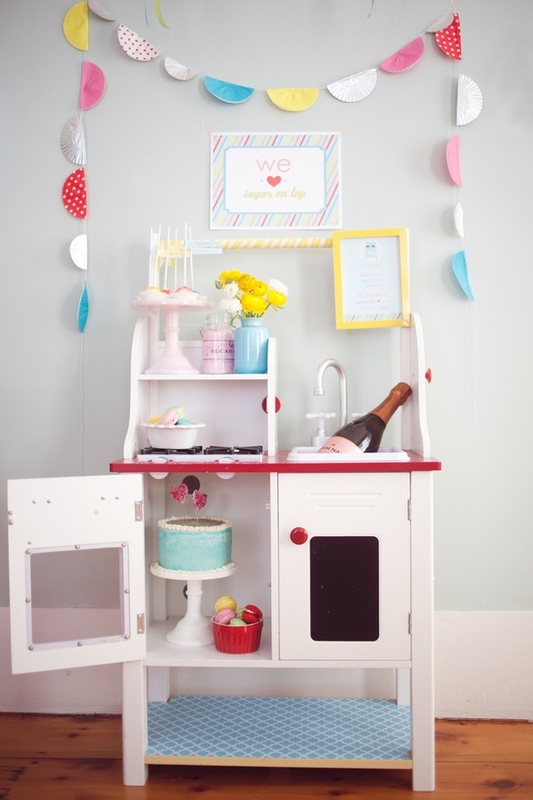 I LOVE the ice cream stand desserts – such a wonderful idea, it has me all inspired to get baking! I’ve been loving the hot air balloon inspiration. It’s all over my Pinterest board too.